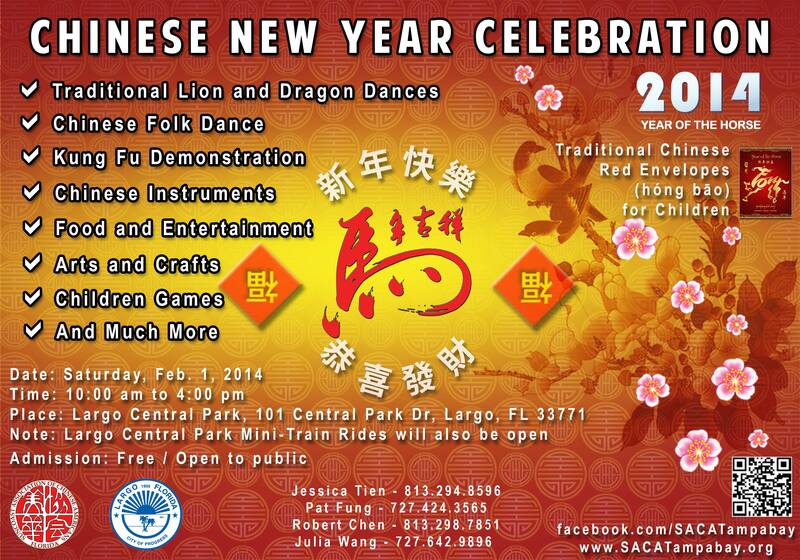 SACA and the City of Largo will be hosting the Chinese New Year celebration at Largo Central Park on Saturday Feb. 1, 2014 (10 a.m to 4 p.m.). 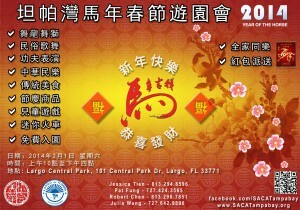 This will be the largest and only out-door Chinese New Year celebration in the Tampa Bay area. In addition to Chinese crafts / food vendors, there will be lion and dragon dances, traditional Chinese performances, and children games. This celebration is free and open to the public. Please tell your friends (SACA and non-SACA members) about this event. Official flyers (both English and Chinese versions) are available. In addition to Chinese food / craft vendors and performances, USF medical students will provide free health (blood pressure, cholesterol, and blood sugar) screening. For the children, the Largo Central Park mini-train will be running. Furthermore, there will be a Chinese Yo-Yo demonstration and workshop for all. It is tradition to wait 100 days before naming a panda cub. 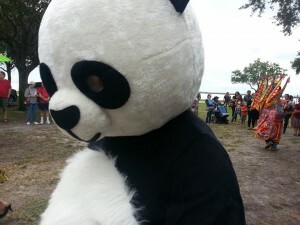 SACA has adapted a “Panda” (see below). Join our Facebook on the naming contest. 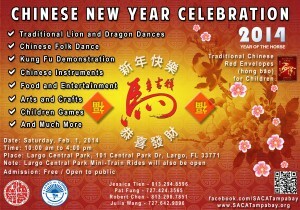 The name will be revealed on the Chinese New Year celebration in Largo Central Park. Furthermore, there will be a photo booth in which attendees can take photos with the Panda. 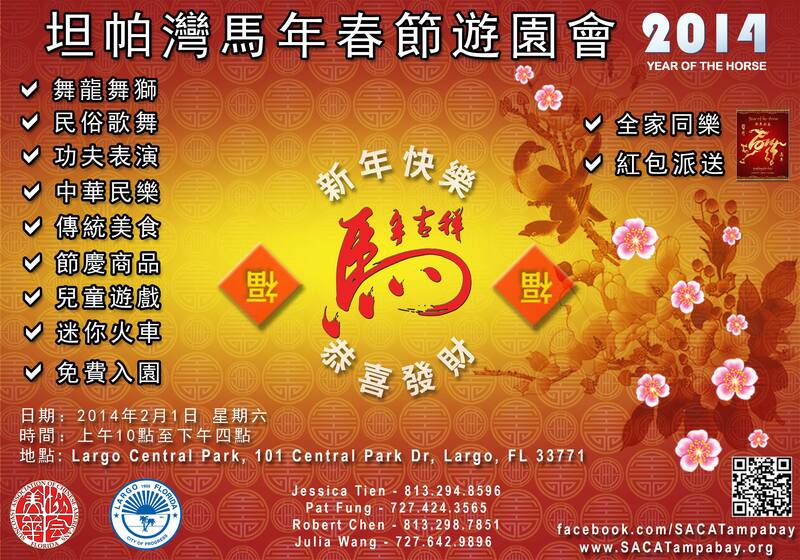 Come and join us on Saturday Feb. 1, 2014 @ Largo Central Park to celebration Chinese New Year. Again, this event is free and open to the public.